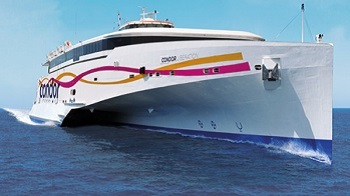 Jersey Sport has teamed up with Condor Ferries and the Guernsey Sports Commission in 2019 to give sports groups increased day-trip options when traveling between the Channel Islands for fixtures. Condor has adjusted its schedule, specifically with sports groups in mind, to put on additional journeys. It follows consultation with local clubs and associations, and four initial dates have been confirmed for Spring 2019. Three of the four sailings have been added to the schedule specifically because of sport, but the general public can also be able to buy tickets for the crossings. These extra day-trips are available for booking through Condor’s Groups department, on 01202 207 242.